What do you Expect from a Bin rental service? I am always trying to think of ways improve my business in any way I can. We spend a lot of time driving throughout the lower mainland dropping off and picking up waste bins. This leaves us with a lot of time to think. I was stuck in traffic the other day wondering when the highway would be finished. Logistics are a huge part of what we do, Managing time wisely is a crucial factor in providing customers with prompt, quality, and reliable service. Orange Bins takes pride in being Punctual, which requires some tricky time management skills. We pride ourselves on ensuring you that we can drop a Junk removal bin wherever you need it, at whatever time you need it, and that applies to picking it up as well. Construction waste is the majority of the waste we remove. Construction companies are always working on a budget and time frame and we realize the importance of their needs. Customers who rent bins for their homes are sometimes working on a more sensitive budget. We feel very comfortable ensuring your needs are met, no matter what you need, we can help. Watch our bin rental service in Coquitlam video. 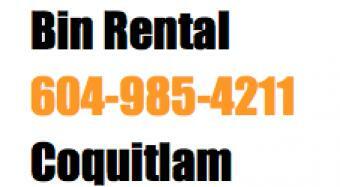 Watch our dumpster rental service in Coquitlam.